Make a contemporary style statement in your kitchen or bath with the Liberty Modern Cable 3 in. Satin Nickel Panache Pull. The pull is made from durable die-cast zinc and comes with a 1 in. fastener. 3 in. Center-to-center installation. 3 Panache Pull, 1 per package Make a contemporary style statement in your kitchen or bath with the Liberty Modern Cable 3 in. Satin Nickel Panache Pull. The pull is made from durable die-cast zinc and comes with a 1 in. fastener. 3 in. Center-to-center installation. 3 Panache Pull, 1 per package is rated 5.0 out of 5 by 6. 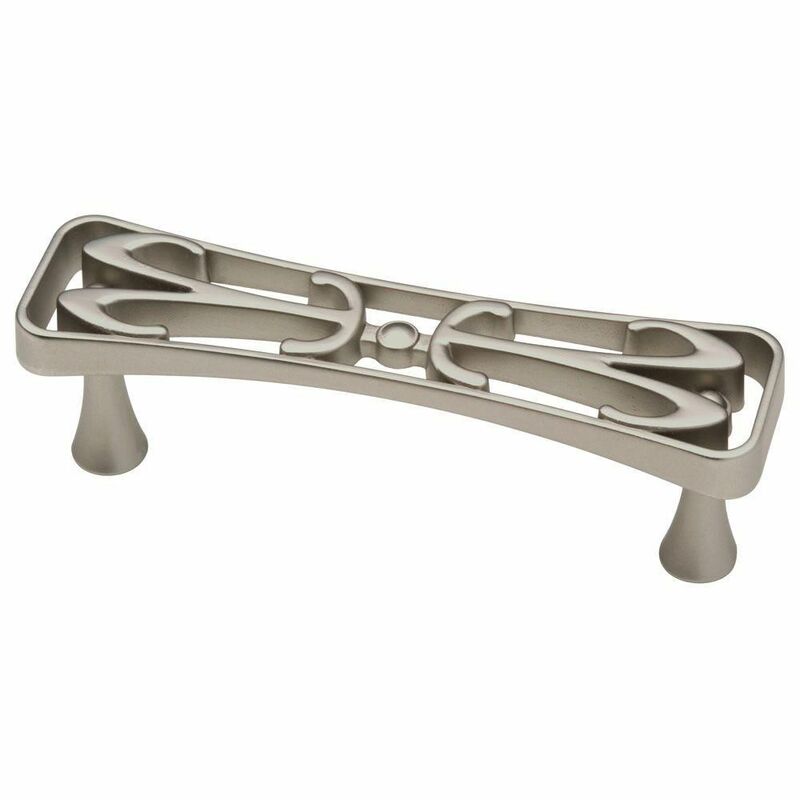 Rated 5 out of 5 by Roz from The handles look very elegant and make opening cabinet doors... The handles look very elegant and make opening cabinet doors and drawers very easy. Rated 5 out of 5 by Covkid50 from I first bought some of these in 2008. I was very pleased with the style and quality, and was over... I first bought some of these in 2008. I was very pleased with the style and quality, and was overjoyed to find that they are still available, as I needed one for a new cabinet. Rated 5 out of 5 by Bethany42 from Beautiful They look beautiful on the cabinets I just repainted! Rated 5 out of 5 by Nonni from the perfect complement to my wall sconces in the master bath These cabinet handles are elegant and functional. They coorrdinate with my other hardware very well. Rated 5 out of 5 by soulshadow55 from Great decorative knob I purchased this door pull because it matches the door knobs I purchased for my master bathroom vanity. I put them on the top faux door panel of the vanity. They were easy to install and give the vanity a real upscale look. I'm very happy with them.